The Mundo Classic Cargo Bike offers unprecedented value. We’re excited to respond to the question “Can I afford this?” with a resounding “Yes!” Yuba have adapted some of the features to retain the solid, sturdy, and safe fundamental design, while simplifying some of the components. We’ve got the double kickstand for stability and safety, wheelskirts for security of your rear cargo, and a strong load-bearing rack. The result of our tweaking and refining is that it’s easier and more affordable than ever to get on a cargo bike today, and you can still bring everything but the kitchen sink with you. 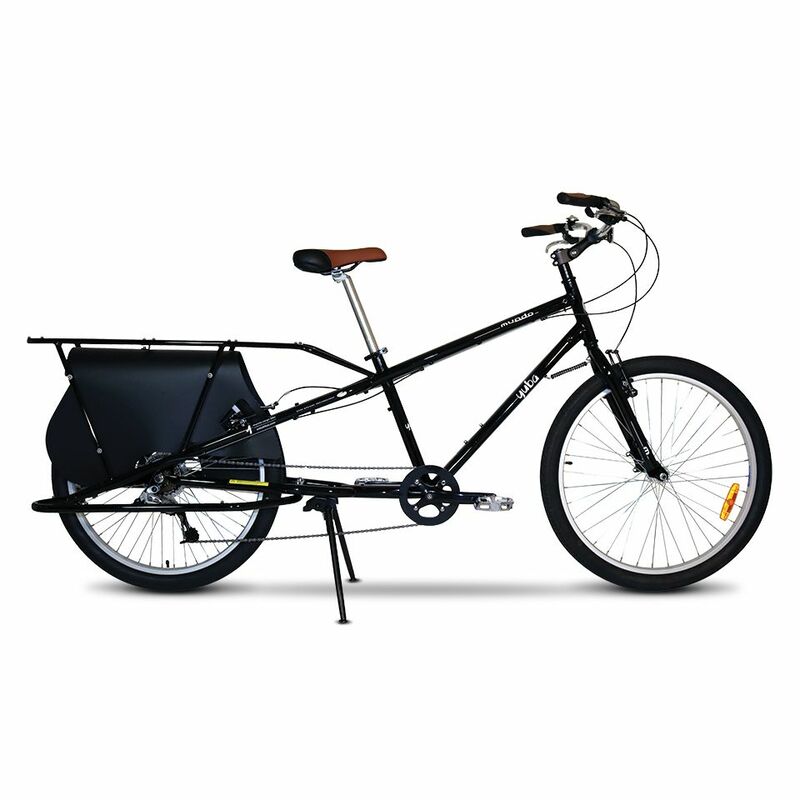 The Mundo Classic starts out at just $1499, making it the most affordable cargo bike on the market. A Mundo Classic is a versatile cargo bike serving families, pet owners and small businesses alike. It’s up to any task, big or small.